Copyright: © 2014 Tiwari C. This is an open-access article distributed under the terms of the Creative Commons Attribution License, which permits unrestricted use, distribution, and reproduction in any medium, provided the original author and source are credited. In India, ascariasis is highly endemic, especially in paediatric population. Ascaris usually lives in the duodenum but wanders through the orifices, ducts and cavities to reach common bile duct, liver and pancreas, thereby leading to a plethora of clinical presentations. 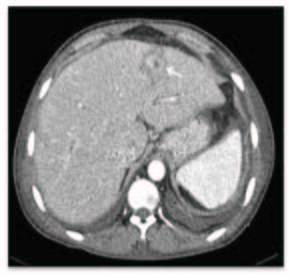 Fulminant hepatobiliary infestation is rare and infrequently reported. We present a case of a child who had overwhelming infestation of the small bowel, extra-hepatic biliary system and liver which was managed conservatively. A 2-year-old male child presented with high grade fever, abdominal distention, pedal edema and passage of worms in stool. He was pale, had pitting edema in both lower limbs and showed features of chronic growth retardation. He belonged to low socio-economic status, both mother and father were uneducated and had poor personal hygiene. But he was active and playful and had no features of sepsis. Blood investigations revealed anaemia, hypoproteinemia, normal liver and renal function tests. Stools were positive for both the Ascarias and its eggs. The egg count was, however, not done. Ultrasonography revealed worms in the small bowel, common bile duct (CBD) which was dilated (10mm) and in intra-hepatic biliary radicals with reactionary abscesses and some worms tracing up to the periphery of the liver. Computed Tomography of the abdomen revealed multiple small liver abscesses (maximum diameter 2cm) with dilated intrahepatic biliary radicals and dilated common bile duct (10mm) with worms within the abscesses, intrahepatic biliary radicals and common bile duct. Small bowel was unremarkable (Figure 1 and 2). Patient was managed conservatively and monitored by serial abdominal ultrasounds till the bowel and common bile duct were clear of the worms. He was kept nil by mouth, daily saline enemas were given, intravenous antibiotics- ceftriaxone (100mg/kg/day), metronidazole (2ml/kg/day), amikacin (15mg/kg/day) were given for 7 days. The patient, along with his family members was dewormed by giving Albendazole for seven days. Orals were started once the bowel and the hepato-biliary system were cleared off the worms. Patient recovered well without any sequalae and is doing well on follow-up. Ascariasis, caused by the nematode, Ascaris lumbricoides, is widely prevalent in India where warm and wet climate along with suboptimal sanitation practices favours year-round transmission of infection. The majority of individuals with ascariasis live in Asia (73%), Africa (12%) and South America (8%). Ascariasis occurs among all age groups; being most common in children 2 to10 years old. Infections tend to cluster in families and the worm burden correlates with the number of people living in a home. Predisposing factors include poverty, low socio-economic status, unhygienic living conditions, poor sanitation and unsafe water supply. 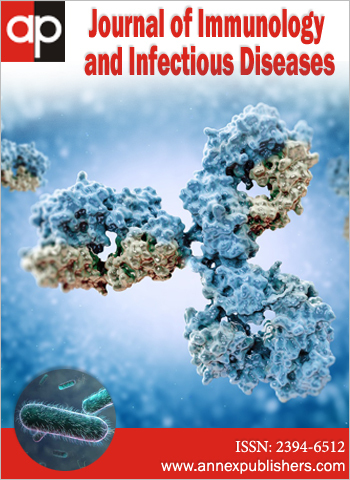 Infection occurs by ingestion of contaminated water. The adult worm usually stays in the duodenum but due to its wandering nature, it invades the bile and the pancreatic ducts and cause complications . Although often asymptomatic, they can cause an array of complications like intestinal obstruction, biliary colic, cholecystitis, cholangitis, liver abscess, peritonitis, pancreatitis and Loeffler's pneumonitis . Hepatobiliary ascariasis usually present in one or more of these five patterns – biliary colic, cholangitis, acalculus cholecystitis, pancreatitis and liver abscess. Biliary ascariasis is the second most common cause of acute biliary symptoms. Migration of worms across the papilla gives rise to symptoms of biliary colic. The worms in the bile duct and gall bladder cause acute and chronic complications like cholangitis, strictures, calculi, cholecystitis and pancreatitis .When liver parenchyma is invaded, multiple and small liver abscesses form . Recurrent bile duct invasions have also been observed in endemic areas . Recurrence is predisposed by prolonged fasting and previous surgeries (cholecystectomy, sphincterotomy, and Roux-en-Y hepaticojejunostomy) on hepatobiliary tract [5-9] because of the dilatation of the common bile duct as well as rise in cholecystokinin levels leading to relaxation of sphincter of Oddi. Ultrasonography is a safe, noninvasive, accurate and readily available modality for diagnosis . Many appearances of biliary ascariasis have been described [10,11] like inner tube sign, stripe sign and spaghetti sign. Real time sonography may also demonstrate the mobility of these worms within the biliary passages. USG also aids in the monitoring of clearance of worms from these ducts. In Endoscopic Retrograde Cholangio-Pancreaticography (ERCP), the worms are usually seen as long filling defects. Worms are successfully extracted from common bile duct by ERCP [12-14]. However, the sphincterotomy caused by this procedure predisposes to recurrence. So, ERCP as a therapeutic intervention should be considered only if worms persist in serial USGs or die in the pancreatobiliary tree . Treatment is usually conservative in the form of nil per os, anti-helminthic drugs and serial ultrasounds to trace the remaining worms. The commonly used anti-helminthic drugs are Pyrantel Pamoate, Mebendazole, Albendazole, Piperazine citrate, Levamisole and Ivermectin. Most of the patients with uncomplicated biliary ascariasis respond to conservative management, because the worms usually return spontaneously to intestine [3,4,16], which is enhanced if the bowel is cleared off worms by administration of anti-helminthics, but the drugs should be given cautiously under continuous monitoring in a patient whose gut is heavily infested with worms, as there is a risk of precipitating intestinal obstruction. Single or multiple worms in CBD without invasion to liver respond well to conservative therapy [3,4]. Worms in common bile duct usually stagnate, die, get macerated or form a nidus for stone formation. It is because of the risk of nidus for stone formation that the paradigm has shifted towards operative intervention if the worms are not cleared from the hepatobiliary tract within 10 days of conservative treatment . Surgical treatment is usually indicated if the clinical picture is unrelieved or deteriorates or if the patient has complicated hepatobiliary ascariasis. The aim of operative procedures is to ensure complete clearance of worms from biliary channels and intestine which is achieved by T-Tube drainage. Enterotomy may sometimes be required to prevent postoperative re-infestation, but is usually not necessary if preoperative anti-helminth therapy has been given. In some cases, choledochoduodenostomy, hepaticojejunostomy, and pancreaticojejunostomy may also need to be done. In the case of ascariasis of one lobe of the liver, hepatectomy is the treatment of choice . Postoperatively, appropriate antibiotic therapy is required. Anti-helminths are given once bowel starts functioning. T tube cholangiogram, performed before removing the T tube, ensures that there is no re-infestation of the biliary tree by residual hepatic or intestinal worms. The outcome is usually good but fatal septicemia may result when treatment is delayed. Our patient, though having massive infestation, responded to conservative management without any recurrence or sequelae like most of the previous studies [3,4]. He is doing well on follow-up. Most patients respond to conservative management. Operative interventions are needed when conservative management fails. USG is a good tool to monitor conserved patients. Operative interventions should be instituted early to avoid complications. But recently, endoscopic and laparoscopic methods are being considered for those who don't respond to conservative management in the first 10 to 15 days . But conservative approach should be tried in all cases initially as almost all the patients respond to this form of management (like our patient) unless complicated. Improvement in sanitation and living standards of the population is essential to prevent infection. Regular deworming of paediatric population is required in endemic areas. A national programme for eradication of worms in endemic areas is strongly recommended. 1 Lanjewar DN, Maheshwari MB, Wagholikar UL (1993) Hepatic perforation due to ascariasis. Indian J Pediatr 60: 457–9. 2 Mani S, Merchant H, Sachdev R, Rananavare R, Cunha N (1997) Sonographic evaluation of biliary ascariasis. Australas Radiol 41: 204–6. 3Louw JH (1974) Biliary ascariasis in childhood. S Afr J Surg 12: 219–25. 4 Lloyd DA (1981) Massive hepatobiliary ascariasis in childhood. Br J Surg 68: 468–73. 5Khuroo MS, Zargar SA, Mahajan R (1990) Hepatobiliary and pancreatic ascariasis in India. Lancet 335: 1503–6. 6Sandouk F, Haffar S, Zada MM, Graham DY, Anand BS (1997) Pancreatic-biliary ascariasis: Experience of 300 cases. Am J Gastroenterol 92: 2264–7. 7 Braga LH, Tatsuo ES, Guimarães JT, Miranda ME, Paixão RM, et al. (2000) Biliary ascariasis after Roux –en-Y hepaticojejusnostomy. J Pediatr Surg 35: 1394–5. 8Bude RO, Bowerman RA (2000) Biliary ascariasis. Radiology 214: 844–7. 9 Gonzalez AH, Regalado VC, Van den Ende J (2001) Non-invasive management of Ascaris lumbricoides biliary tract migration: A prospective study in 69 patients from Ecuador. Trop Med Int Health 6: 146–50. 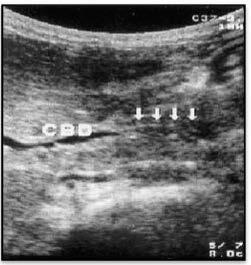 10 Schulman A, Loxton AJ, Hegdenrych JJ, Abdulrahaman KE (1982) Sonographic diagnosis of biliary ascariasis. Am J Roentgenol 139: 485–9. 11Cerri GG, Leite GJ, Simões JB, Correia Da Rocha DJ, Albuquerque FP, et al. (1983) Ultrasonographic evaluation of ascaris in the biliary tract. Radiology 146: 753–4. 12 Jessen K, Al Mofleh I, Al Mofarreh M (1986) Endoscopic treatment of ascariasis causing acute obstructive cholangitis. Hepatogastroenterology 33: 275–7. 13Jamsheer NS, Malik N, Al-Qamish J (2001) Biliary ascariasis: Sonographic diagnosis. Saudi J Gastroenterol 7: 69–70. 14 Al-Karawi MA, Salem I, Mohammed AS (1989) Endoscopic diagnosis and extraction of biliary ascariasis. Ann Saudi Med 9:80–1. 15 Sanai FM, Al-Karawi MA (2007) Biliary acsariasis: Report of a complicated case and literature review. Saudi J Gastroenterol 13: 25–32. 16Wani MY, Chechak BA, Reshi F, Pandita S, Rather MH, et al. (2006) Our experience of biliary ascariasis in children. J Indian Assoc Pediatr Surg 11: 129–32. 17Wani MY, Ahmed Bashir, Wani AN, Pandita S (2005) Our experience with biliary ascariasis in children. J Indian Assoc Pediatr Surg 10: S8. 18 Jethwani U, GJ Singh, P Sarangi, Vipul Kandwa (2012) Deparment of Surgery, Vardhman Mahavir Medical College & Safdarjung Hospital, New Delhi 110029, India, Deen Dayal Upadhyay Hospital, New Delhi, India.